The Six Weeks Meeting and Hammersmith Friends chose Satellite Architects to design their new Meeting House through an RIBA supported international competition which received 126 submissions. The brief was to create a new sustainable landmark building for their worship. The Meeting House is situated within a tight network of Victorian terrace houses; the building reinstates their continuous brick facades across a bomb-damaged plot. However, the facade wall inflects and becomes more permeable, creating a welcoming entrance from the street. 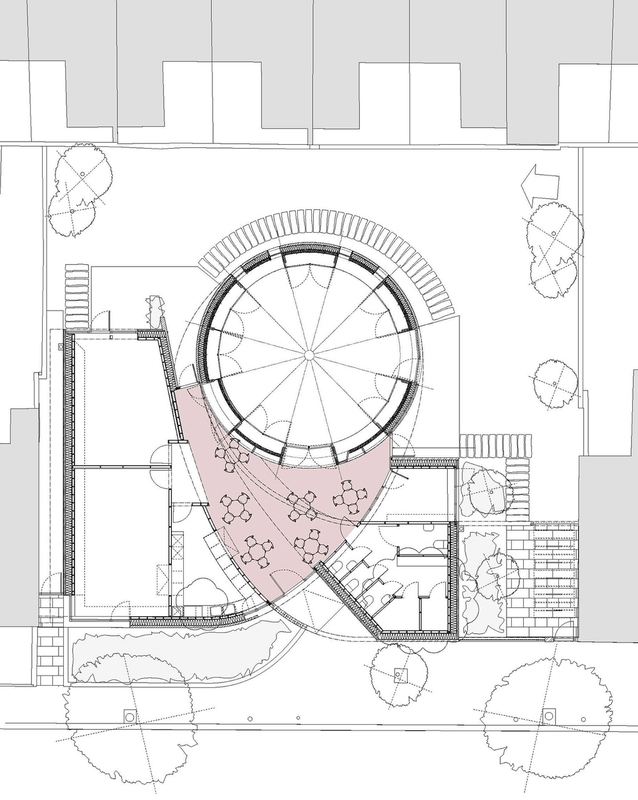 The wall continues and loops in on itself, defining a circular, non-hierarchical central hall and a reception area connecting to all rooms. The hall is carefully positioned to receive the most direct light and wrapped in layers of perforated brickwork, translucent baffles and slating, which dissolve the edges of the space. Ancillary rooms enable the building to offer flexible community space for the variety of activities.